You may have content marketing and SEO strategy, but that may take a long time to promote your company’s blog or the resource you’re using. Hopefully, you would never like to fall into a situation to look for results that are prolonged. Here comes the method of content syndication with which the content itself becomes a source of promotion and take you to a new audience more quickly. This tactic is quite refreshing for content publishers to get their articles picked up and republished on additional websites is not a bad idea. Content syndication is a method when third-party sites republish original content appeared somewhere else, for instance, company’s blog. The syndication might be done either in the entirety, converting the content to a shorter piece, or just publish a selected excerpt. The details can vary on different sites. You get the credit of original author when your content is syndicated on another site, and there is a link back to your website with a canonical link. 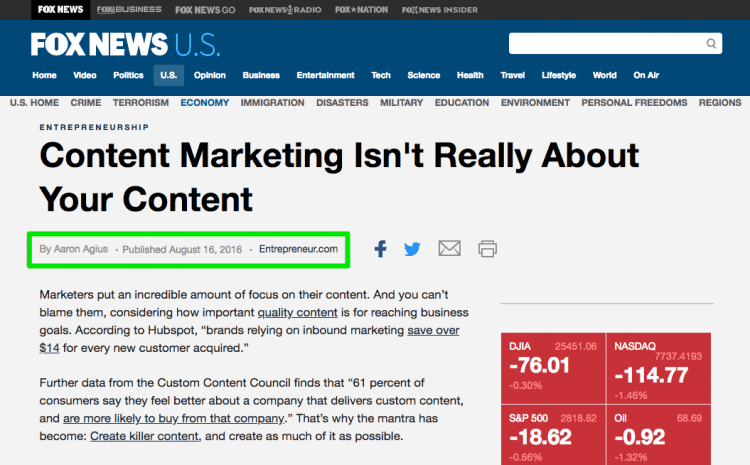 The content looks like any other guest post to the readers, but if there is any difference that will be the content earlier appeared elsewhere, is usually indicated on the page. Now, when you’ve come to know about the mechanics behind content syndication, let’s know how can you make partnership and build your own audience? If you compare syndication relationships and guest blogging, you’ll find them almost similar. Once you’ve found your syndicate publisher, you’ll try to explore about them and want to know their content, style, and acceptance about syndicated content. Now, when you know your publishing partner, send them a customized pitch including your offer and- most importantly- what you’re giving to them. Once you’re on talking terms with your partner, you’ll better know the publication’s specific process, for instance, whether they want your RSS feed or anything else. As syndication isn’t a link building technique, links are important to its success. You’ll try all methods to avoid cannibalizing search rankings of the original content. This is how you can accomplish links. While getting in the partnership, ensure that your partners who are syndicating content for you add a canonical link to the original content before publishing. This will inform search engines that all SEO things related to the content should be attributed to its original version. If you’re curating the syndicated post yourself, how to add a canonical link will rely on the structure of the platform. For instance, Medium comes with a simple content importing tool that automatically adds it for you. Also, if allowed, the links to your content and website in the content can be added by you. Additionally, you can add a link to the original post at the bottom of the post for any third-party audience who want to explore the content further. Lastly, when you’re utilizing syndication for goals like brand awareness, thought leadership or news making, you have a chance to create and build on the momentum. By syndicating one content piece to different outlets, and having those versions grabbed by even more channels, that content can do better in a multi-channel awareness campaign for your business. Although you would need a strategy for this. It won’t happen if you’re first-time content syndicator or if you’re associated with the only partner. When you make sure to use syndication as a content marketing strategy, you’ll have to create different and strategic partnerships which can make this momentum possible. There are many content marketing strategies can be fruitful for a business or a brand, content syndication is one of them. But, what and how are some questions which have to be answered for making content syndication successful. Here are 3 tips that will help you learn about content syndication strategy.